Jeffery S. Nighbert has been instrumental in modernizing BLM's GIS system and has generously shared his cartographic expertise with others at conferences and workshops. That is how Jeffery S. Nighbert, senior technical specialist for GIS at the Bureau of Land Management (BLM) describes his job. He handles the tough GIS assignments at BLM. To GIS practitioners, however, he is best known as a cartographer who produces stunningly beautiful relief maps that bring the landscape to life with rich, saturated colors. Although his gorgeous maps depicting areas in the Pacific Northwest have long associated him with that region, his roots are in New Mexico. He was born and raised in Albuquerque and also spent a few years in Santa Fe. The Southwest is also where he attended college and received both his bachelor’s and master’s degrees from the University of New Mexico. A critical part of Nighbert’s education was not formal but familial. His mother taught him to paint with oils, developing the artistic skills and sensibilities that would serve him well in his career. His brothers introduced him to hiking and camping in the wild. This encouraged Nighbert to explore the world around him and appreciate the beauty of nature. His parent’s gift of a Time Life atlas of the world sparked an interest in geography and cartography. He was enthralled by the beautiful shaded relief maps and photographs of distant places in that atlas. He spent hours reading, studying, and admiring it. “I guess that set me on the path to becoming a geographer or at least help me to appreciate beautiful maps,” Nighbert said. His first federal job was as a forest draftsman at the Gila National Forest in Silver City, New Mexico, but Nighbert says his career really began when he transferred to the BLM and began working as a cartographer. His landscape and life again changed when he transferred to the BLM office in Portland, Oregon. He still lives in Portland with his wife, Gail, and daughters, Jennifer and Amanda. When he began working at the BLM, cartography was not accomplished with bits but with nibs. He spent his days creating maps using manual methods: pen and ink and Leroy lettering. He even made maps using scribe coat and peel coat techniques that painstakingly produced handmade negative images of great delicacy. Despite his mastery of these involved techniques, his favorite map from that period—one of southwestern New Mexico showing the distribution of Apache tribes and Mimbres Indians—was produced with nothing more than pencil and paper. With the advent of GIS and use of computers for mapmaking, Nighbert transitioned to digital methods. As someone who tests and evaluates new technology before it’s released to the mainstream BLM infrastructure, Nighbert has had a major impact on GIS use at BLM. John Sharrard, Esri GIS solutions engineer who has known Nighbert for more than 23 years, attests to his contributions to the advancement of the use of GIS at BLM. “Jeff has been instrumental in modernizing BLM’s GIS system over the years. He has been one of those ‘early adopters’ whenever we introduce some new facet of technology,” said Sharrard. One of the many beautiful maps Nighbert has worked on. 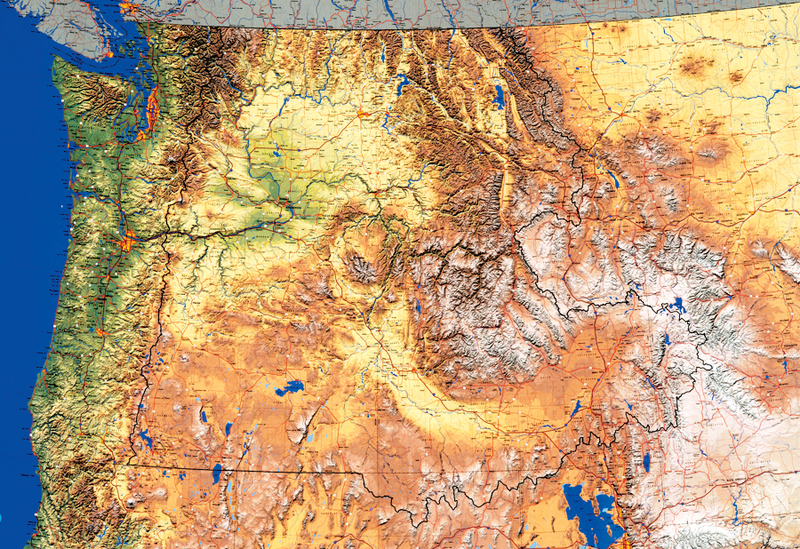 This map the Interior Columbia Basin Project won the Best Cartographic Presentation Award at the 1995 ESRI User Conference and appeared on the cover of the 11th volume of the ESRI Map Book in 1996. Of the numerous awards in cartography he has won, Nighbert feels most proud of a map of the Interior Columbia Basin Project he made in collaboration with Carolyn McCarthy, Steve Salas, and Tuyen Ta. That map won the Best Cartographic Presentation Award at the 1995 ESRI User Conference and appeared on the cover of the 11th volume of the ESRI Map Book in 1996. Videos about his work have been featured in six Plenary Sessions—more than any other user—making him something of an Esri User Conference rock star. His many entries to the map contest live on. One can find maps of his early works adorning walls in the hallways of the software development buildings at Esri. In addition to his day job producing wonderful maps for the BLM, he has also done an excellent job of documenting and sharing the cartographic techniques that he has developed with others. And share he has. 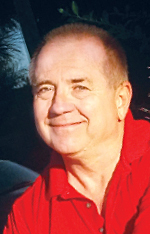 He is beloved by the GIS community for generously contributing his knowledge, insights, and talents through presentations, papers, articles, and blog posts on cartographic technique. “Jeff is also motivated altruistically to share his work with others,” said Buckley. She explained he has been working with Esri to convert his ideas and snippets of code from work he has presented at Esri International User Conferences into a usable set of tools for everyone.